Love the card!! I like how the sun rays extend the length of your card. Fabulous card! Love that huge sun and that face......CUTENESS! 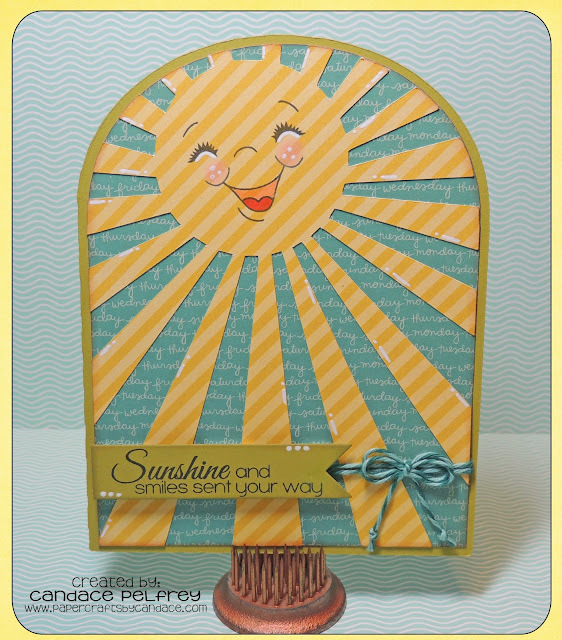 What a happy little sunshine card! So cute!